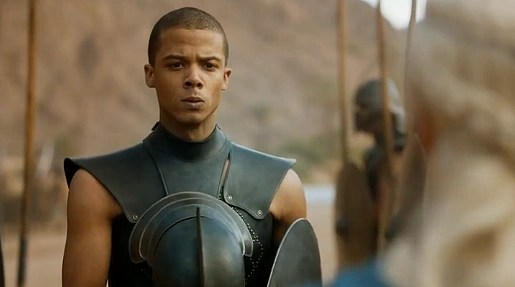 Grey Worm is the commander of the Unsullied, the army of 8,000 warriors that were once slave-soldiers in the slave-city of Astapor. After freeing them, the Unsullied came under the command of Khaleesi, at which point they elected Grey Worm as their leader. He is a proud warrior and originally from the Summer Isles of Easteros. This entry was posted in Characters and tagged grey, grey worm, unsullied, worm. Bookmark the permalink.